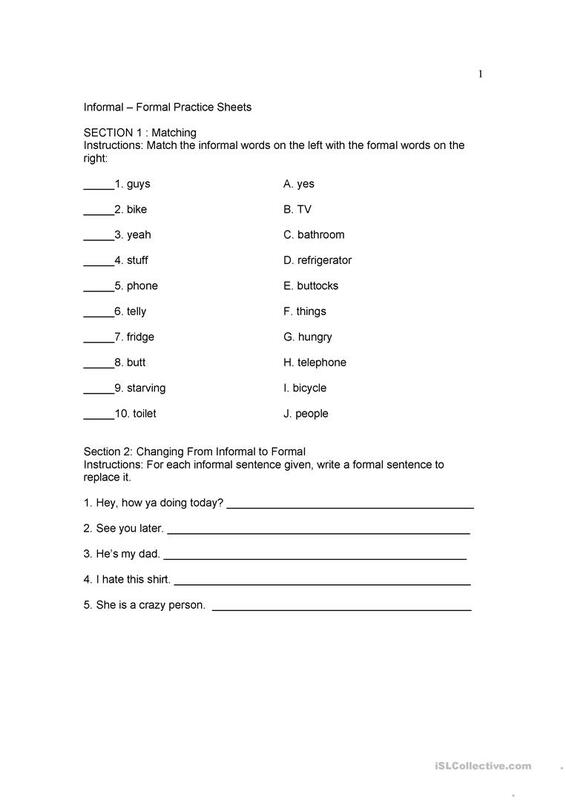 Exercises that ask you to distinguish the differences between informal and formal words or phrases. The present downloadable worksheet was created for high school students and adults at Intermediate (B1) level. It was designed for working on your groups' Writing skills. mikekuss is from/lives in China and has been a member of iSLCollective since 2012-05-06 00:55:10. mikekuss last logged in on 2012-05-06 00:55:11, and has shared 1 resources on iSLCollective so far.